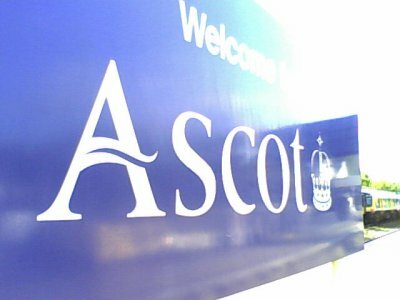 Today I travelled to Ascot for the day. Before you ask, yes, the same Ascot as the one with the famous famous racetrack, which hosts the Royal Ascot race meeting every year, which in turn gave its name to a type of neckwear. I however, was not going to play the ponies nor was I wearing a cravat. I was off to a business meeting, so I got myself suited and booted, grabbed my laptop computer, my mobile phone, my TFL Oyster card (to pay for the tube) and hit the road. Oh, I packed one more thing for my trip, a new piece of kit that I just bought. Let’s come back to that in a minute though. Back in May of this year, I was asked by the editor of the site travelblogs.com to contribute to an article they were putting together on what not to pack when you travel. What if there is a freak snow storm in July in Mexico? I better pack thermal underwear. What if I go to London and get invited to have dinner with the Queen? I better pack a suit. What if the atmosphere of the planet drains away while I am visiting Japan? I better pack a self-enclosed space suit and supplemental oxygen. Despite my inability to pack, I decided to throw in my suggestion of something you don’t need. I picked something I’d seen a lot of people travelling with, but that I had never travelled with myself. Therefore, I figured, you don’t NEED to bring it, do you? I knew when I picked the item I chose to write about, it would be controversial. I had met more than a few people travelling in the past few years who have said to me that they could not imagine travelling without this item. This despite the fact that the item in question didn’t exist before 2001, and wasn’t in regular use until a few year after that. 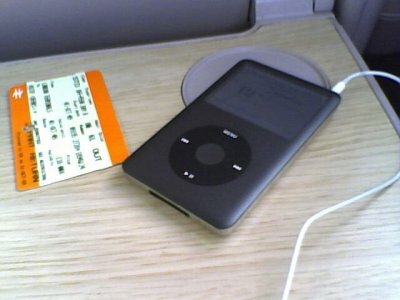 The item I suggested people could travel without was the iPod. I see so many people travelling nowadays with their eyes closed and those white buds in their ears. That is fine and good for a commuter train rides. When riding a bus through the wilds of Costa Rica though, you lose something when you throw in your ear buds and select your “groove out” playlist instead of taking the opportunity to watch the scenery, listen to the sounds of travel and most importantly interact with your fellow travellers and locals. Of course, I could be wrong and this all could be jealousy on my part seeing as I have no mp3 player to speak of… But I am pretty sure I’m right. As you can see, I tried to make it a bit of a joke. After all, I’ve already admitted that I pack too much stuff, so I figured I would fluff off the entry with a bit of a light, jokey entry. 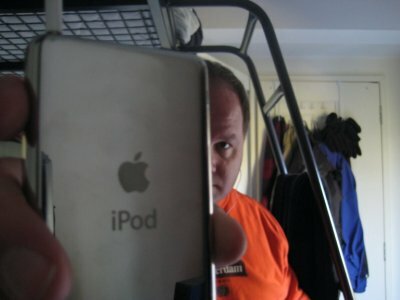 My advice on the iPod got posted as one of the 18 Things You Don’t Need On Your Packing List. Looking at the 18 things, I do agree with some of the things - money belts and water filters aren’t needed on the majority of trips. Some of things I understand, but still bring anyway. I know that you shouldn’t bring jeans - they are heavy and slow to dry, but I always bring them. They are just more comfortable. Some items I disagree with. I only brought one book with me to South America, figuring I could trade with folks along the road or pick up books at English book stores. Didn’t work, and I wound up spending 5 days in Patagonia without a single thing to read. I’m pretty sure stupider things have been said in the entire history of humanity, but I suppose that’s a bit of an objective call, so perhaps I have, in fact, said the most stupid thing ever said. When it comes right down to it, you don’t actually need much of anything to travel. If you’ve ever backpacked, you’ve probably run into someone who is travelling long term with nothing more than one change of clothes and a passport. That’s all you need, and you really only need the passport if you want to leave the country. In fact, I’ve come across blogs and articles about people travelling with no money at all, so a passport and clothes is about it. Even with the inspiration of those who travel with nothing and a handy list of 18 things not to pack, I’ll probably still pack too much. Turning back to my day trip to Ascot today, readers with keen deduction skills will already have guessed what the new bit of kit that I took with me. It was my brand new iPod. I bought it last weekend and loaded it up with the 2617 songs that I recently ripped from my CD collection. I put together a few cool playlists too, “Road Trippin’” and “Dance Dance Revolution” among them. You know what. I liked it. The iPod came in especially handy when, due to “severe delays on the circle line,” I wound up catching a later train out of Paddington and therefore missed a connection in Reading. With 25 minutes until the next train, being able to sit back and listen to some tunes was much appreciated. After my meeting, I caught the train back to Paddington. Instead of hopping on the tube of catching a bus, I decided to walk home. It’s about an hour walk, but it is good exercise, so I decided to hoof it. 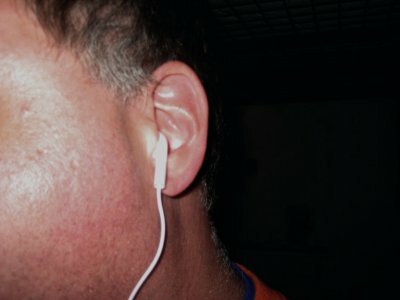 I kept my iPod in my ears, and started the walk down Praed street with my “Car Chase Music” playlist on shuffle. It made me realise what my life up to this point had been missing. A soundtrack. Walking along the busy city streets with “Busy Child” by The Crystal Method made me feel a little like Jason Bourne on his way to punch the crap out of some of his evil CIA pursuers. Therefore, I will admit I was wrong. Travelling with an iPod is fine. It helps pass the time when waiting, which those who travel will know is something that happens often - whether it is on a train platform, a bus station, a ferry terminal or an airport lounge. The music also provides an additional layer of experience to the passing scenery, whether out of a train window or walking the city. Listening to my iPod today on the train got me thinking about another trip I did my train, but this one much longer than the hour from Ascot to Paddington (via Reading). I got to thinking about my trip from Paris to Hong Kong, which I did without the benefit of an iPod or other MP3 player. The iPod would have come in handy a few times. I no doubt would have gone a lot less stir crazy when I spent four days straight on the train between Moscow and Irkutsk, and iPod might have made the train station in Jining seem a lot less depressing and scary. It would have been a shame though, if instead of spending my time trying to speak with Stan and Ollie or Soonay and Alex, that I put my ear buds in and spent my time lying on my bunk. Plus, the iPod would have been an absolute life changer for the worse if I spent my time listening to U2’s latest on the train from Beijing to Hong Kong. On that trip, without an iPod to entertain me, I instead sought out some English speakers to chat with. I wound up chatting with a Canadian-born girl who was travelling with a British passport. She told me about the UK Ancestry visa, which three years later led to me moving over here to London. So, yeah, I was wrong. Travelling with an iPod is fine. Just make sure you take the ear buds out and talk to those around you. We'll make an Apple fanboy out you someday Greg! !